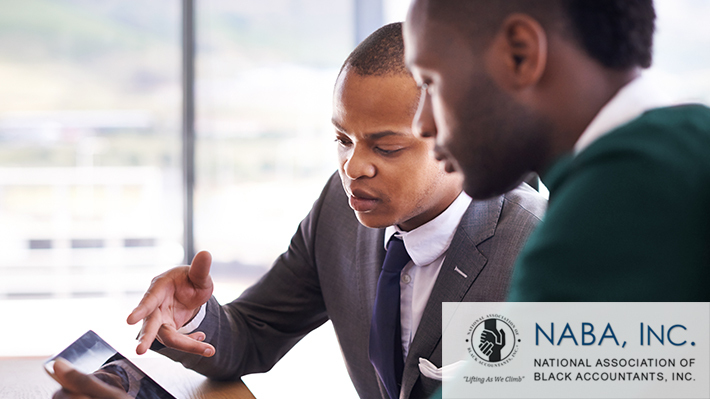 The National Association of Black Accountants, Inc. (NABA) is one of the leading professional organizations in the nation. NABA represents the interests of more than 100,000 people of color in furthering their educational professional, and career aspirations in the related business fields of accounting, consulting, finance, and information technology. NABA provides effective programs, activities and advancement, for students and professionals across the country.